This effect draws a series of intermeshed gears. It is more of a toy effect, designed to demonstrate the possibilities of LPEs. 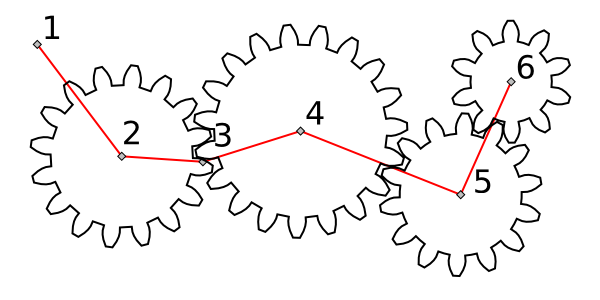 The Gear extension can also be used to draw gears with a bit more control.